Just when I thought I’d heard almost every relationship-building concept, Danny Silk comes along with a totally innovative approach in Keep Your Love On! Danny points out that most people try to develop a safe distance between other people, to keep themselves from getting hurt. As a result they have become powerless in their relationships—powerless to make any changes that would move them closer to one another. But God designed us for connection: Connection with Him and with each other. These types of connections can only come from powerful people. Danny says that powerful people are not those who impose their will on others, but people who first of all take personal responsibility for who they are. Then powerful people can establish healthy boundaries that will help others move from powerlessness to power. Healthy, long-lasting, fulfilling relationships come when both people are powerful people. All throughout the book, Danny Silk give sound, biblical direction, combined with his personal experiences counseling other people. He is even vulnerable enough to tell us how he learned these valuable lessons by moving away from powerlessness in his own marriage. This is an outstanding book for anyone who want to strengthen or repair relationships in their lives, or for anyone who wants to be a catalyst for change in the lives of people close to them. Pastors and counselors should definitely add this book to their library. I am a Red Arrow Media book reviewer. 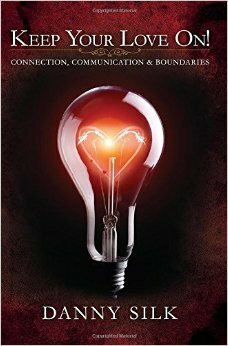 I agree this was an outstanding and extremely useful book for anyone needing to develop, maintain, or repair a relationship that matters to them. I reviewed the book on my blog too and hope folks will buy and read. Christian love in action where it’s the most critical — in our daily lives.